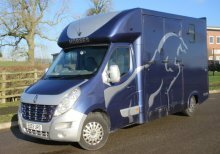 Horseboxseller has been successfully matching pre-loved, used horseboxes and second hand horseboxes to new owners for many years. 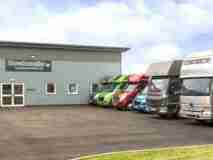 Selling horse trucks, lorries, transporters, bespoke builds and conversions. Brands include George Smith, Equicruiser, Oakley, Olympic, Lehel, Equitrek to name but a few. We buy, sell and part-exchange 3.5t, 5t to 6.5t, 7.5t and HGV used horseboxes from 10 ton to 26 ton: please see our available stock, or contact us for information. We know what you need, we travel and compete horses too! 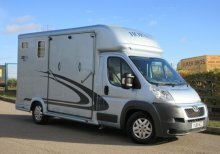 We've been around for several years and as a family business we care and develop a relationship with our customers who often come back time again as they upgrade or needs change in their horsebox ownership. 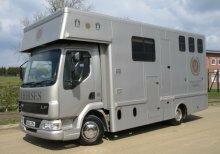 So if you're looking for a pre-loved, second hand or new build horsebox for your showjumper, hunter, show horses, riding club pleasure horse, polo or whatever the discipline, leisure or competition, we'd love to hear from you so we can supply what suits. 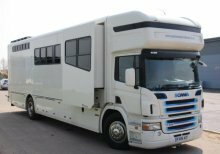 Take a look at some of the horseboxes for sale we have. Generally we have more on-site. Chat with and arrange to meet Geoff and Phillip Butchers and the team.